Recently, my friend Carlee over at Ladybird Ln. talked me into getting involved in the Crazy Cooking Challenge at Mom’s Crazy Cooking, and I’m so happy she did! 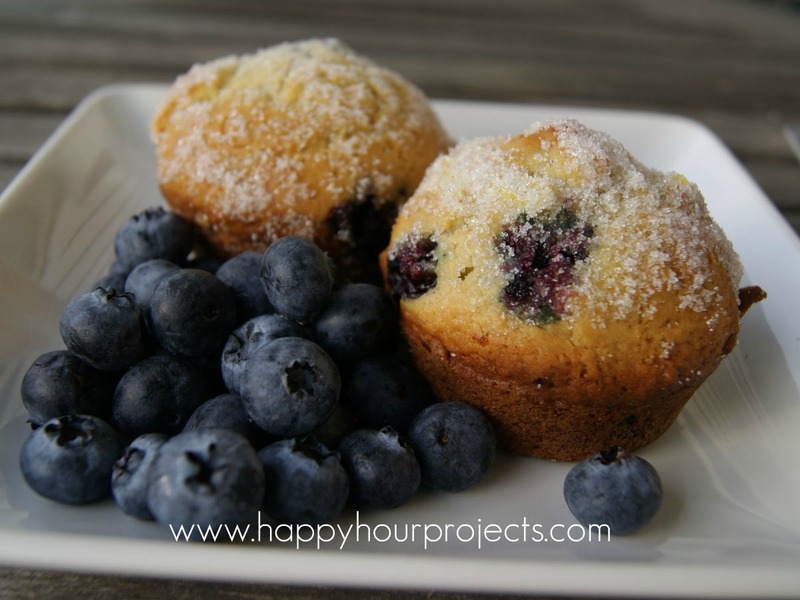 This month’s theme is blueberry muffins, and I never would have stumbled onto this fabulous recipe had I not been out searching for inspiration among the delectable foodie blogs out there. I visited Lana over at Never Enough Thyme, who seems to have shared this recipe specifically for me. :) It was so delicious! I was really intrigued by the sound of a Blueberry Lemon Muffin. It turns out, not only is this a less-sweet muffin (perfect!) but its roots are in a place near and dear to my heart: Michigan. :) This recipe is adapted from Mackinac Island’s Iroqouis Hotel recipe. I halved the recipe that Lana shared. She reported a yield of a dozen muffins, and I decided that six muffins would be plenty. Apparently, though, I have really small muffin tins or something because I still ended up with ten! You can visit her for the original recipe, if you want – she takes photos of each step along the way if you haven’t done some of these things before, and would like to see it in more detail. Here, I’m going to share the half-recipe version I made, with a quick photo-rundown. If you like my recipe, click me below, I’m #39! Preheat your oven to 400 degrees and grease your muffin tin (or use muffin papers). Zest your lemon. Sift your dry ingredients together. In a separate bowl, whisk your eggs, then add the milk and oil. Make a well in your flour mixture to help combine your wet and dry ingredients, stirring the mix as little as possible. Add your egg mixture into it, and stir it until the flour is moistened. In another bowl, combine your blueberries and 3/4 tsp. of the lemon zest. Fold the lemon-blueberry mix gently into the batter. These muffins are quite light, and to keep them that way, you’ll be doing the minimum amount of stirring necessary to mix your batter. Now, spoon them into your muffin tins, and bake. Lana suggested 20 minutes, but my smaller muffins were done in 15. Just check them – you’ll want to remove them once they’ve browned lightly. If you want to be inspired by some other bloggers’ blueberry muffin experiments, check them out below! Thanks to Mom’s Crazy Cooking for organizing the linky! These look delish! Your photos are great! I'm going to have to try this blueberry-lemon combo! Thanks for sharing at the Rock N Share and I'm #94 in the CCC too! Those muffins sound delicious!! I love blueberries! I am going to have to try this out!! Thanks so much for sharing this as well at Thursdays' Temptation! Stopping by from Ladybird Ln :) These look delicious and just in time. I'm goin blueberry picking next weekend and need lots of fun recipes! Thanks!! Those look delish! Thanks for sharing at my party. Your muffins look fabulous. I'm going to pin this recipe. Thanks for stopping by (#14). Yes, the lemon was delicious in the muffins! Your look wonderful too! Oh these look just delicious! I am glad you are in the CCC! I just wish I was in it this month too… but I will be content in looking at all these delicious looking muffins! Lemon and Blueberry, perfect! Love that you have sweet memories associated with this recipe, makes it even more special. These look so great. 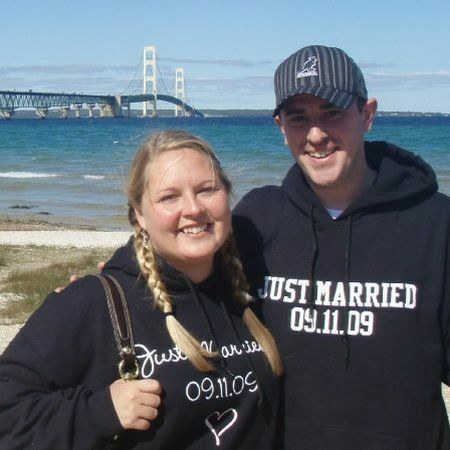 I love the shirts you are wearing in the pic. Too cute!! Absolutely GORGEOUS muffins! They look so delish! Cute pic of the 2 of yall too! Oh wow, these look great. Tim Horton's used to have a lemon blueberry muffin (maybe they still do – I never go anymore now that it is no longer en route to work),….anyway, I loved them but never thought to duplicate them for some reason. This sounds just like them. Thanks for the share. I love lemon and I love blueberries! I have to try this! Thanks! !